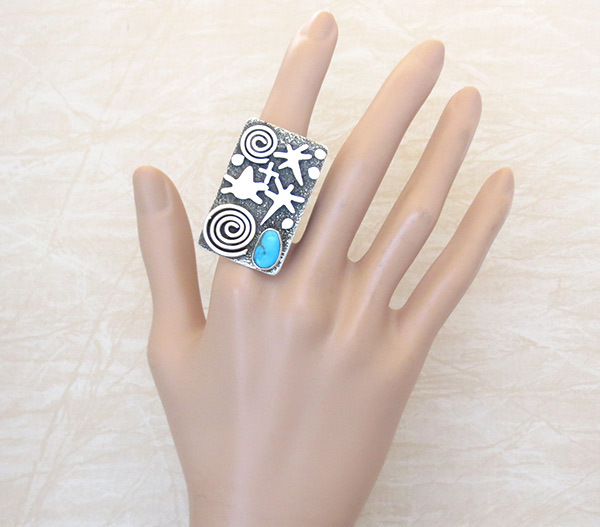 This fabulous turquoise ring was and created handcrafted by award winning artist Alex Sanchez. 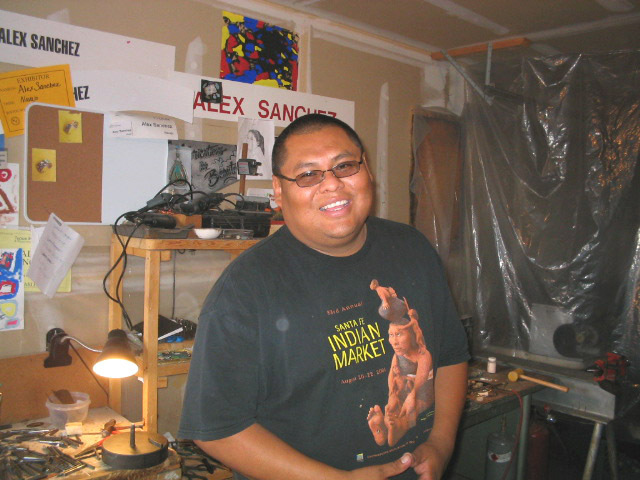 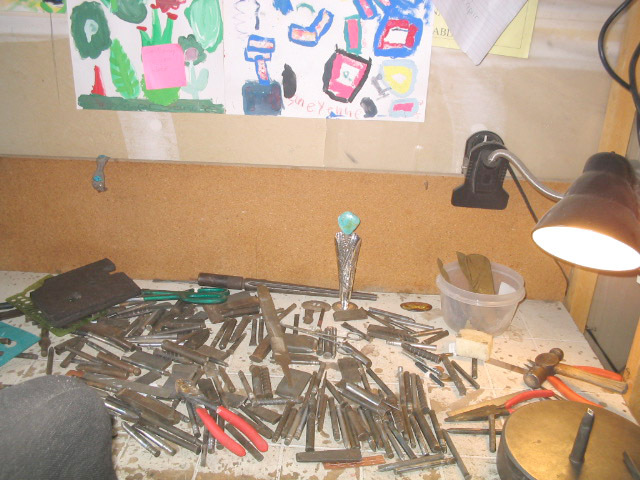 I did get to meet him a few years back and see his workroom, pictures below. 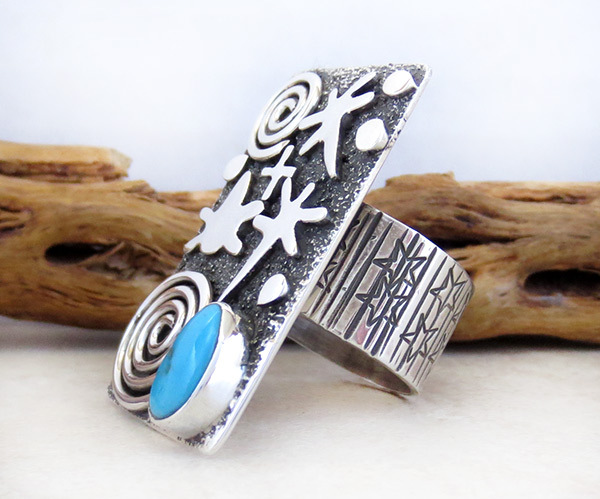 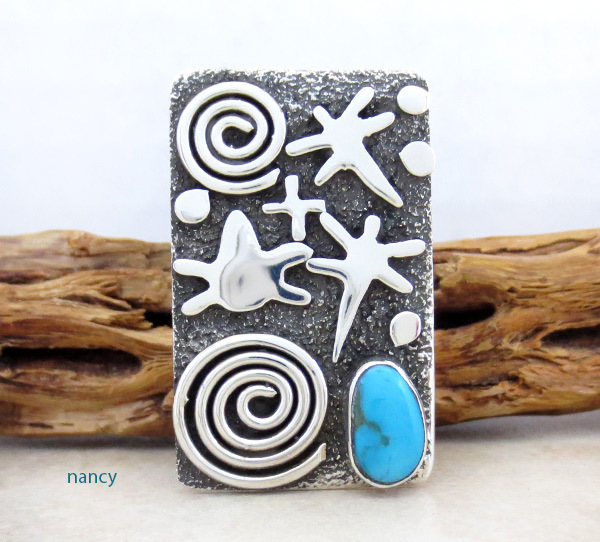 This ring is a size 9 3/4 to 10 and is from his well known petroglyph collection. 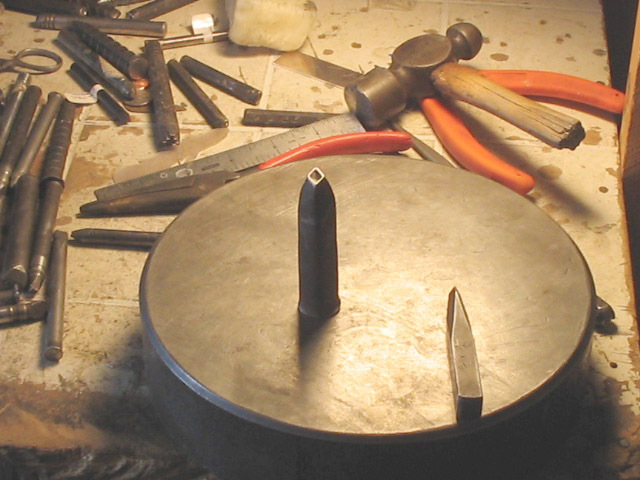 on the front as well as the back and on the very wide sturdy shank. 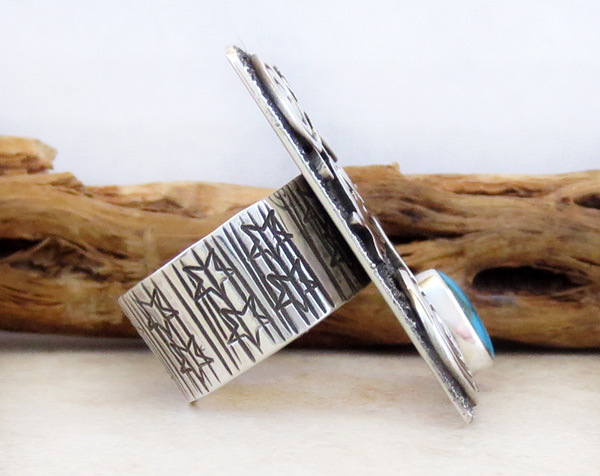 It measures 1 1/2" tall by 7/8" at it's widest point. 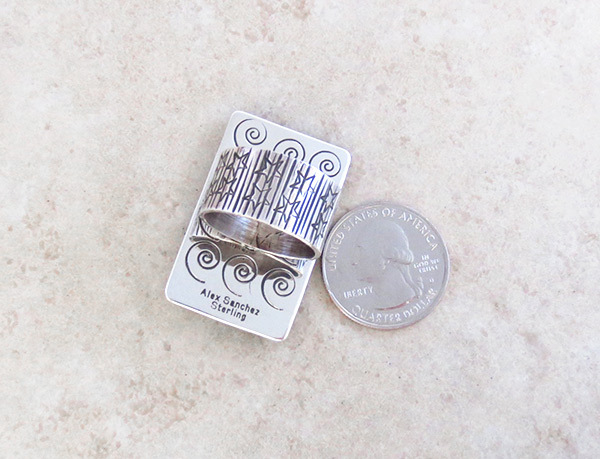 The band is almost 1/2" wide.